ANNUITIES CAN HELP PROVIDE THE RETIREMENT BENEFITS YOU NEED. An annuity is a contract between you and an insurance company. You agree to make a payment or series of payments to the insurer, who in turn guarantees* specified payments back to you when you determine you need them to start. The guarantees are as strong as the underlying company. An annuity may be either immediate or deferred – that is, for income now or later. 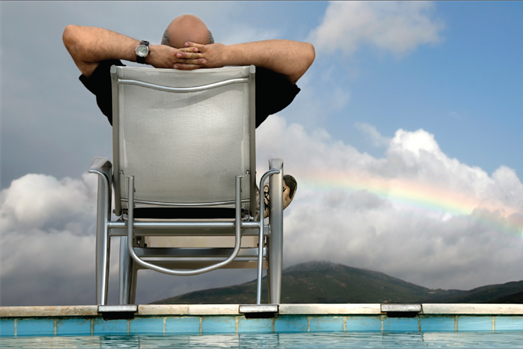 If you are about to retire or have already retired, an immediate annuity may be right for you. Usually purchased with a single payment (called a premium), immediate annuities provide income payments that start no later than one year after the premium is paid. Since you are receiving immediate income, some of that payment is return of principal and some of it is gains. You only pay income taxes on the portion that is gains. This is referred to as a tax-exclusion ratio. Here are some key questions designed to help start a conversation with your financial advisor to determine whether annuities are appropriate for you – and if so, which type. Write down your answers and share them with your advisor. • How soon do you need to receive income? • How much principal do you need to invest inside of an annuity to cover your income needs? • Have you accurately inventoried all your assets and assessed their liquidity? • Are you seeking to grow your assets? • Are you willing and/or able to put any of your principal at risk? • Are you concerned that the income your annuity will generate will not keep pace with inflation? • Once you have decided to purchase an annuity, can you leave your principal intact for a minimum of five years? • If you are considering an immediate annuity, are you aware that your principal no longer continues to grow and possibly could provide no death benefit for your heirs if you live too long? • If you are considering a variable annuity, are you aware that, while your income may be guaranteed, the actual value of your account will fluctuate with the market – so that, if you decide to withdraw some or all of your entire principal, you may incur a loss? • With a living benefit rider, have you considered that if you withdraw more than the allotted guaranteed amount, your future income checks may be less? • Do you know for how long the surrender penalties apply? • Do you understand all the fees and charges associated with the annuities you are considering? • Should you purchase additional options (“riders”) to supplement the annuity you are considering? • Do you wish to use your annuity as a means to leave funds to an heir? Investors should consider the investment objectives, risks, and charges and expenses of variable annuities carefully before investing. The prospectus contains this and other important information about the variable annuity and its underlying funds. Prospectuses for both the variable annuity contract and the underlying funds are available from your financial advisor and should be read carefully before investing.